What would you do if you had all of your preconceptions of the world challenged? This is what happens to Elanna Valtai, the main character in Callie Bates's debut fantasy novel, The Waking Land. Elanna was taken hostage at six years old by King Antoine as a punishment for a rebellion orchestrated by her father, Ruadan: he contested Antoine's right to the throne, believing that the king's ancestors took it unjustly, and that the crown should be given back to who Ruadan believes is the rightful heir—and who, in turn, would grant freedom to Ruadan and Elanna's homeland, Caeris. As the novel opens, all this is fourteen years in the past; Elanna is now twenty, and her view of the world has been shaped by her new home at Antoine’s castle. Even though she knows that the king has said he will kill her if her exiled father sets foot beyond Caeris, she now resents Ruadan for not coming to rescue her. Furthermore, she sees her father's rebellion as foolish and labels the man he wishes to be king "the old pretender." She is relatively content in her life; the king treats her well, providing her with an education and the means to follow her ambition of becoming a botanist. Her life, overall, is a comfortable one. From the very first chapter of Bates's novel, we discover that Elanna has magic within her and that this is a problem—as magic has been outlawed. She knows that, if her secret gets out, witch hunters will come for her and torture her into madness. Because of this, Elanna in part hates herself, but equally is endlessly curious about what she is capable of. She knows she is able to conjure spirits from stones, and that she has a special bond with plants that enables her to help them grow—but feels that there is something more to her abilities than that. No sooner have we been introduced to her life, however, than it gets thrown into disarray once more. The king is killed by ingesting a poisonous plant—so of course fingers immediately point to the royal botanist and then, inevitably, to his student, Elanna. It is at this point that the story starts to sprint. She is smuggled out of the kingdom by her nanny, Hensey, and a stranger, Lord Jahan—a sorcerer who, along with his friends, guides her out of the kingdom with the intent of getting her back to her father, who despite what Elanna believes has not forgotten her and now wants her back. He believes that with her help they can start a rebellion once more. He, along with the people of Caeris, believe she is not just capable of magic but is the Caveadear, a sorceress who can become one with the land and use its power to retake the throne and give it to the rightful heir. Callie Bates’s strength lies in how quickly and succinctly she lays down the plot without making it complicated, a great feat when you consider the story is told in the first person; Elanna’s view point restricts us to what she is seeing and hearing, but never distracts from the bigger picture—and Bates manages to cleverly insert plot points along the way without them appearing to be shoe-horned in. I was immediately sympathetic to Elanna’s plight, her confused and conflicted state: the fact that everything she has been taught—from history to basic morals—is falling down around her makes her someone you want to side with. In a lesser writer’s hands Elanna’s character could have easily become whiny, but Bates makes her a strong, opinionated woman, yet one who is forced to have her mind opened to something beyond herself. The easy route would have been to have Elanna turn against the people of Eren when she discovers she has been lied to all her life, but she—and the novel—is much deeper than that. As she learns more about the history of the land, and as she meets new people, she grows in a very real and believable way; at no point does it feel like she has formed a new opinion too quickly or that her character has changed too dramatically. By the time she embraces her new role you believe she is capable of doing so—and that at times she is doing things that she would prefer not to have to. The structure of the story prevents me from revealing much else here for fear of ruining this book for you—and that’s something I would hate to do. Much of the joy in The Waking Land comes from its revealings. Because of the first-person narrative, we can only follow her journey as she takes it—and because of this very little of the story can be guessed in advance, since we are as ignorant as Elanna. This is important because, although some story threads do go where you expect them to go, others—such as where Elanna should be placing her loyalties, or with whom she should be placing her trust—are left up in the air. Essentially, her uncertainty leaves us in the dark and makes the tension in the story even greater. Bates’s drawing of the characters is excellent. They never, even in the most fantastical of circumstances, become unbelievable—and the bad guys, as can so easily be the case in stories of this type, never cross the line into the realms of caricature. Princess Loyce comes across first and foremost as a spoilt child who one must remember has had the same education in history as Elanna—and consequently some of her actions, though not all, are based on what she believes is right. Her right hand man, Denis Falconier, on the other hand is more gleeful in his power grabs and sways closer to the world of cartoon villain; but Bates pulls it back by giving us the impression that he is only like that under Loyce's influence—in other words they are only as bad as the other makes them. The fact that they are not inhuman is important—because, as Elanna tells us again and again, while she doesn’t like Loyce and Denis, nor does she agree with how the people of Caeris would like things to play out. Even the minor characters in The Waking Land are fleshed out sufficiently to make every action have a very real consequence: when the two sides do fight, for example, Elanna recognises people from Eren, which means that their deaths aren't just those of faceless enemies. In fact, no death anywhere in the novel ever feels welcome or wholly deserved. If criticism must be levelled at this book, it is this: repetition. It may be a stylistic choice, as many things are, but at times Elanna will repeat what she has already said or say "out loud" what has been implied already. When Elanna worries that someone may be dead or in trouble for the second or third time, or when she reiterates the stakes at hand, it feels like Bates has lost confidence in her writing—because it is clear from the rest of the book that she can imply these sorts of things eloquently, and doesn’t need to be so explicit. Other than this small gripe, however, it is hard to find fault with this book. 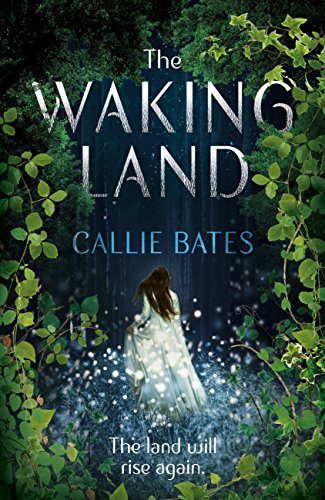 The Waking Land is a very strong debut novel that successfully establishes a world that begs to be visited again. Its plot is pacey, its fantastical elements work well within the world Bates has created, emotional moments always pack a punch, and danger always feels real. The interesting thing will be how Bates chooses to do so. Whereas parts of the story are wrapped up neatly, there are many threads left open and plenty of avenues left to explore with these characters—both the ones we have met and the ones that have only been referred to. Bates might choose to write a direct continuation of Elanna's story, or prefer to follow in the footsteps of a series like Joe Abercrombie's excellent Shattered Sea trilogy, taking each book as an excuse to delve in to a different character's mind. Whatever her choice, there is one thread that deserves to be picked up again and will lead the story somewhere very exciting indeed. What thread is that? Well, you'll have to read the book to find out, won't you?